Some 200 MPs are backing a campaign by their staff members to be given a bigger pay rise. 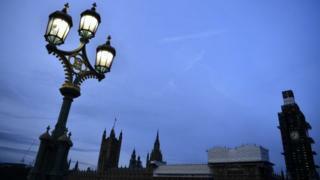 Staff working for MPs are making a joint complaint to the Parliamentary watchdog over a pay rise they say has left them "extremely disappointed". More than 100 staff have signed a letter to the Independent Parliamentary Standards Authority. Their call has been backed by a cross-party group of MPs, who are calling for increased staff budgets. The staff say their own pay increase was "significantly lower" than that given to MPs and "fails to even keep pace with the cost of living". MPs are getting 2.7% extra from April, taking their salary to £79,468. The budget for MPs' staff, from which researchers and administrative staff are paid, was increased by 1.5% for the 2019-20 financial year. In London, MPs' staff can be paid from £19,890 for a junior secretary, up to £49,793 for a senior Parliamentary assistant. Equivalent roles out of London, in constituency offices, are between £17,062 and £43,881. In a letter seen by BBC News, backed by the Unite union, staff say they face "an increasingly significant and complex workload" as a result of Brexit legislation. The letter adds: "It is absolutely in the national interest that MPs have the staffing capacity to handle this and support them at this critical time." The signatories complain they face "extremely limited staff progression, high staff turnover and low morale". "This decision, and the fact that IPSA still treats MPs' staff as office costs rather than employees, clearly highlights that IPSA do not recognise the value that staff provide to Members of Parliament, which is incredibly disappointing." Labour MP Gareth Snell has written to Ruth Evans, the chairwoman of IPSA, to ask for staffing budgets to be increased. The letter says: "A below inflation increase means most of our staff would now be worse off because of the rising cost of living." Given pay rises planned for next year, it adds: "We are also concerned about the increasing pay gap between us and the staff who provide such important support to our constituents". The letter is signed by MPs from across the political spectrum, including Labour and Conservative former ministers. An IPSA spokesperson said the body considers "a range of evidence and options" when making adjustments to MPs' staffing budgets, "including pay policies elsewhere in the public sector." "The Board also take into account their responsibility to use taxpayers' money responsibly, and therefore decisions on MPs' budgets are made with affordability as a key consideration. "Members of Parliament are the employers of their staff and decide the exact amount of any pay increases for their staff." MPs' pay is linked to average rises in the public sector, as determined by the Office for National Statistics. An IPSA spokesman said: "We have received the letter from the Members of Parliament and this will be discussed with the IPSA Board later this month."